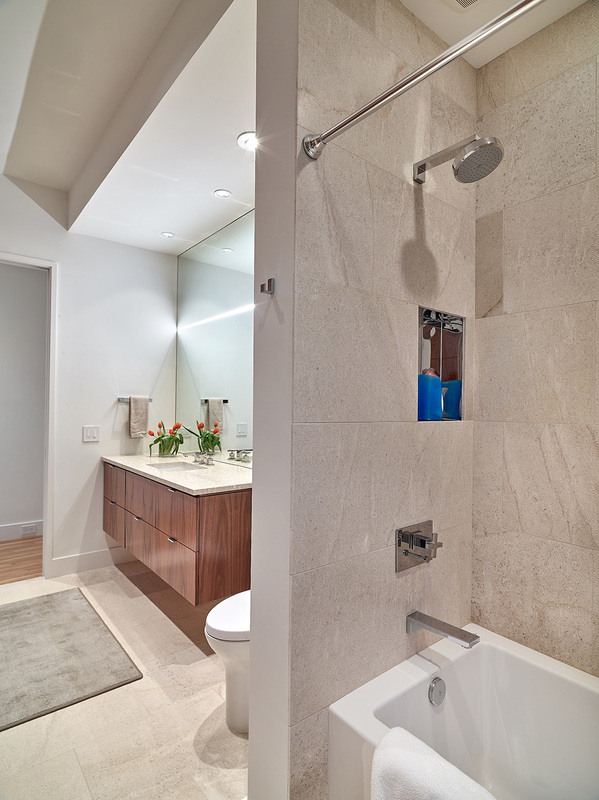 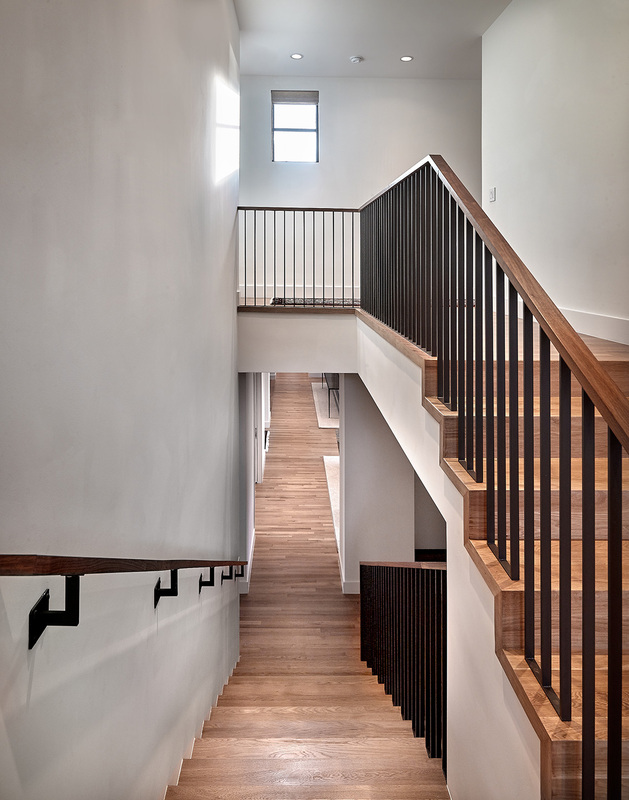 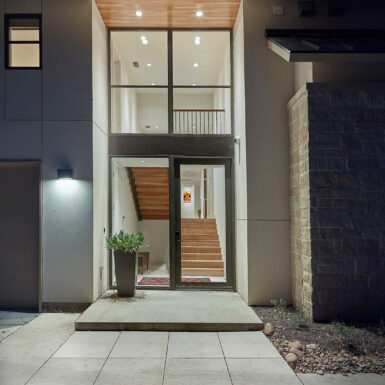 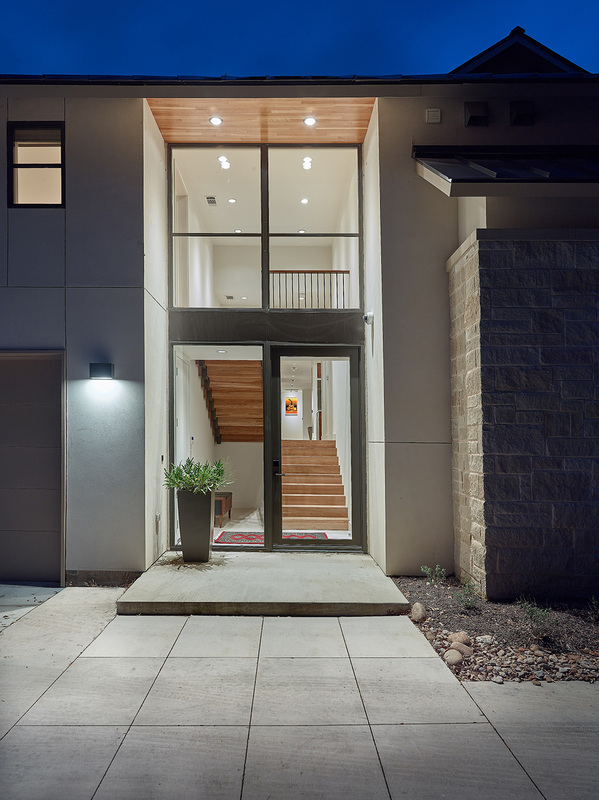 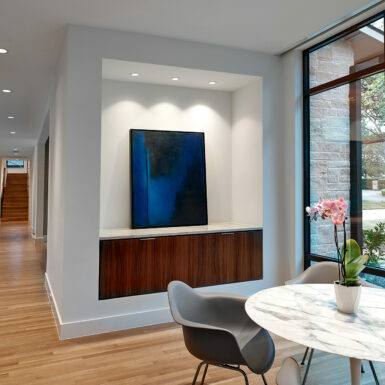 The clients for this house requested lots of light, plenty of space for a large family, and a design that was contemporary but not too contemporary. 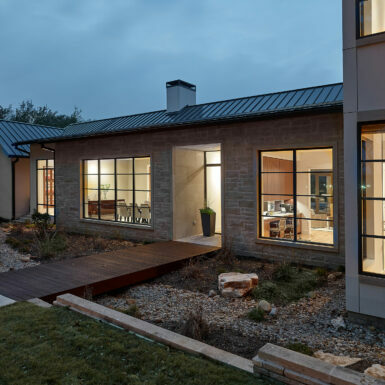 Given those parameters, and a site that is wide, but not deep, the solution is a composition of thin volumes with ample windows…which allow light to penetrate the spaces and provides generous views to the verdant neighborhood. 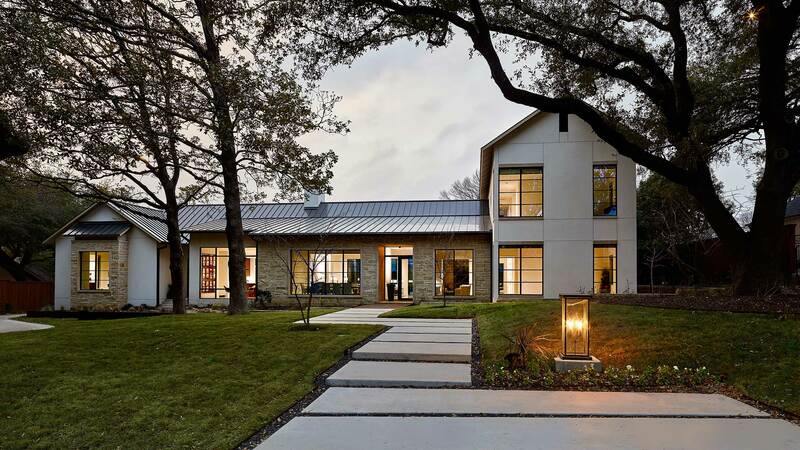 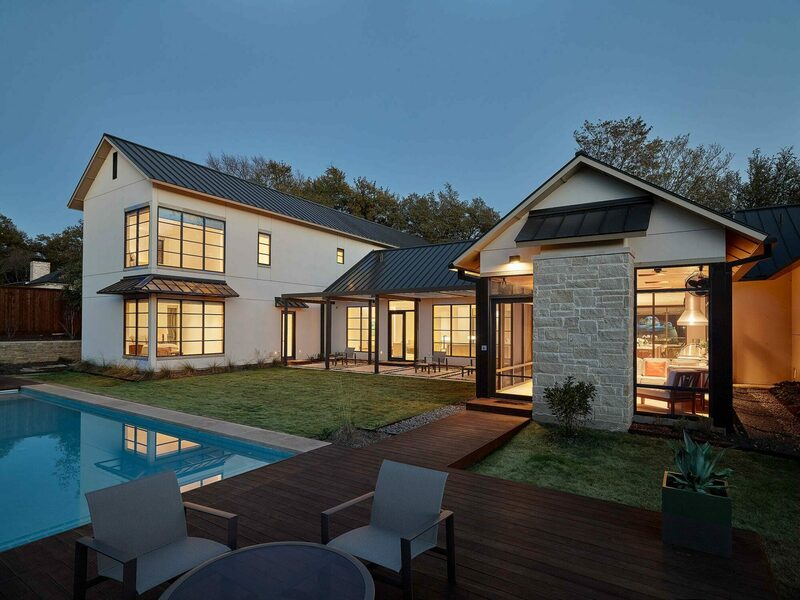 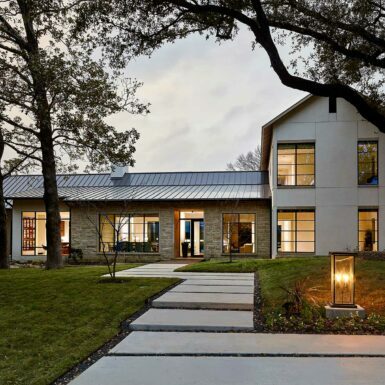 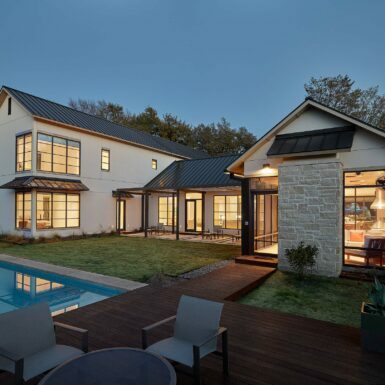 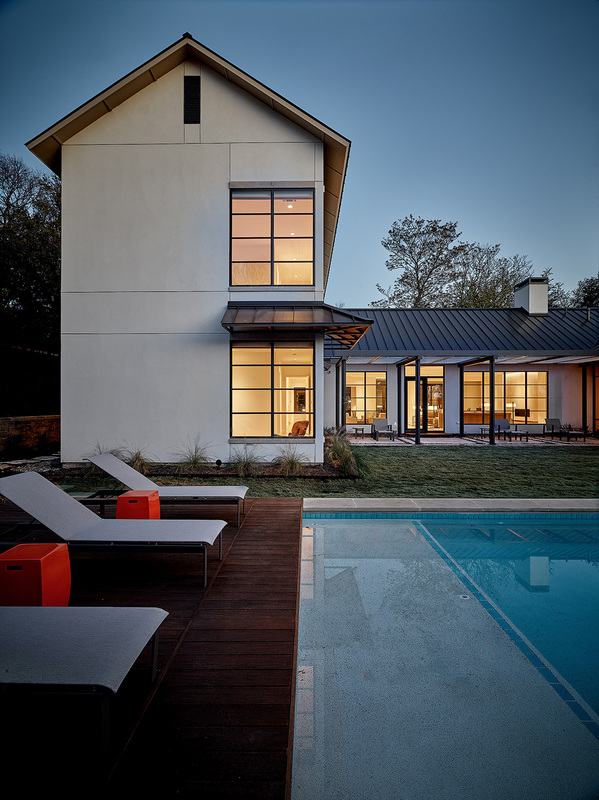 The exterior materials are light-colored limestone and stucco, capped with a metal roof…and rendered in clean volumes. 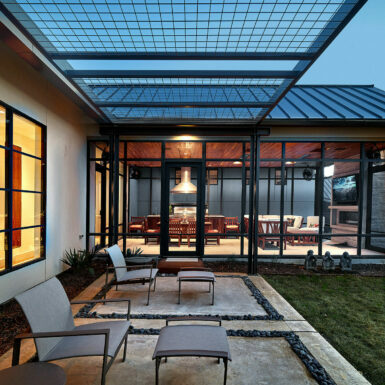 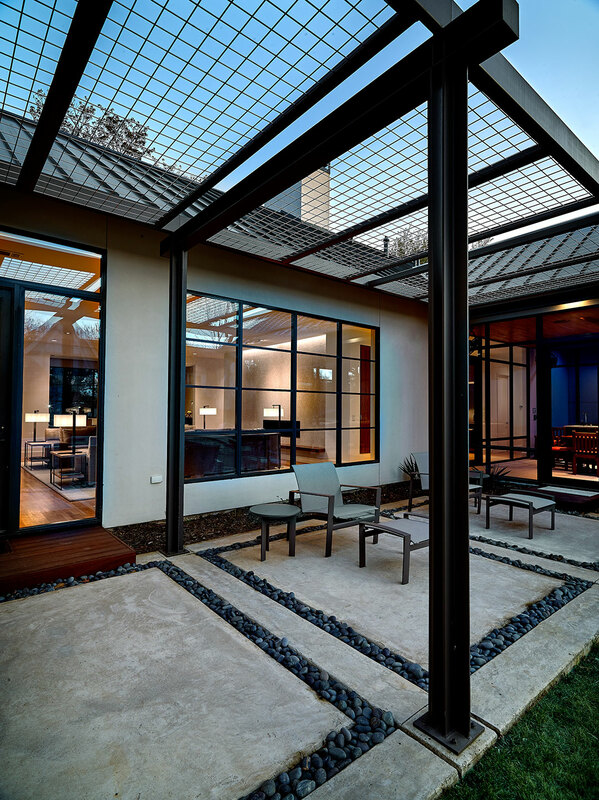 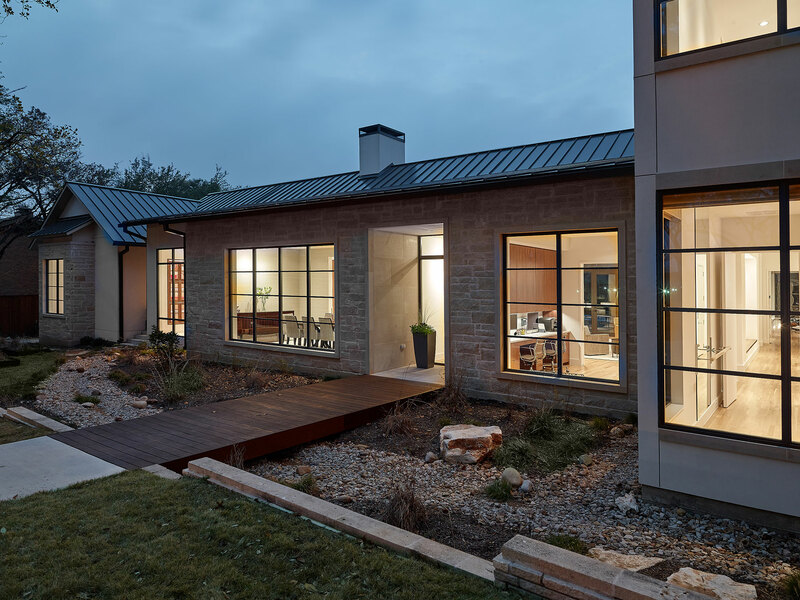 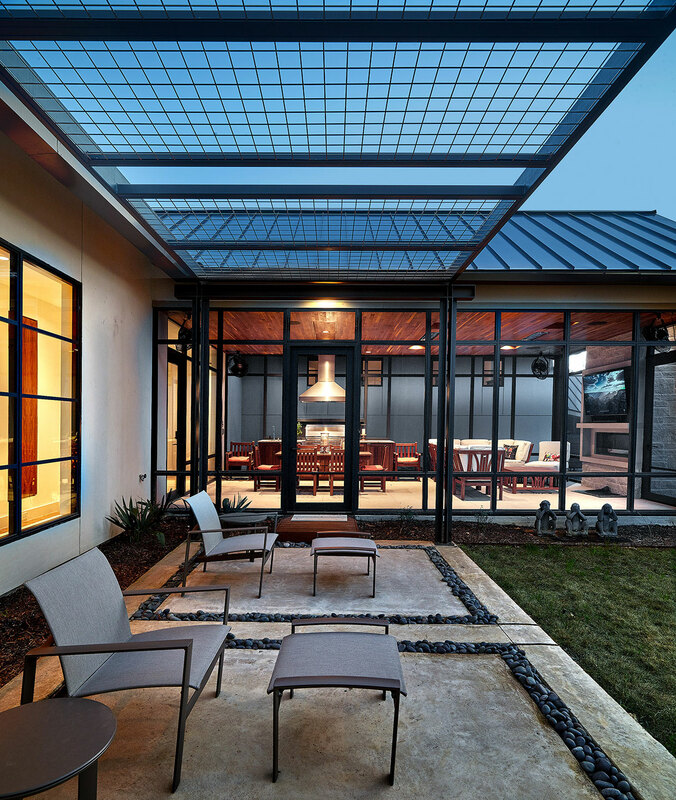 The whole composition is punctuated with modern aluminum windows with a charcoal gray finish that contrasts the light exterior walls. 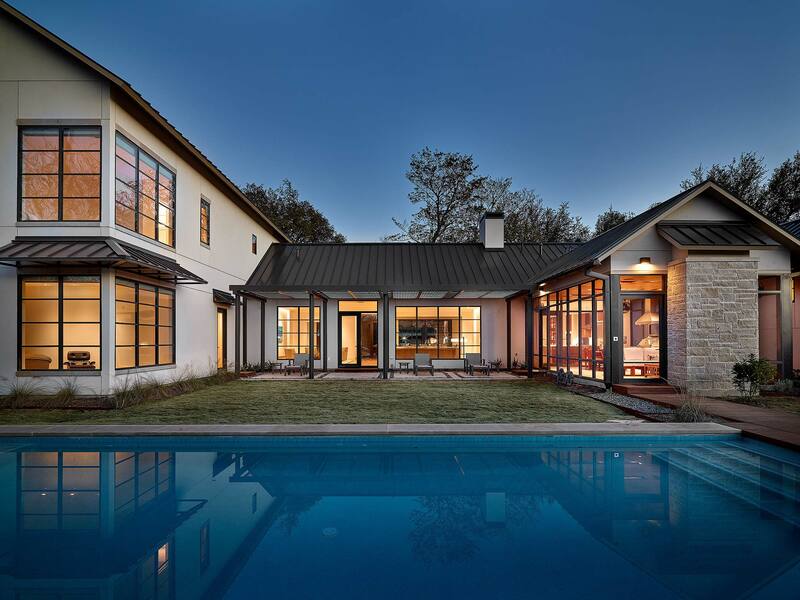 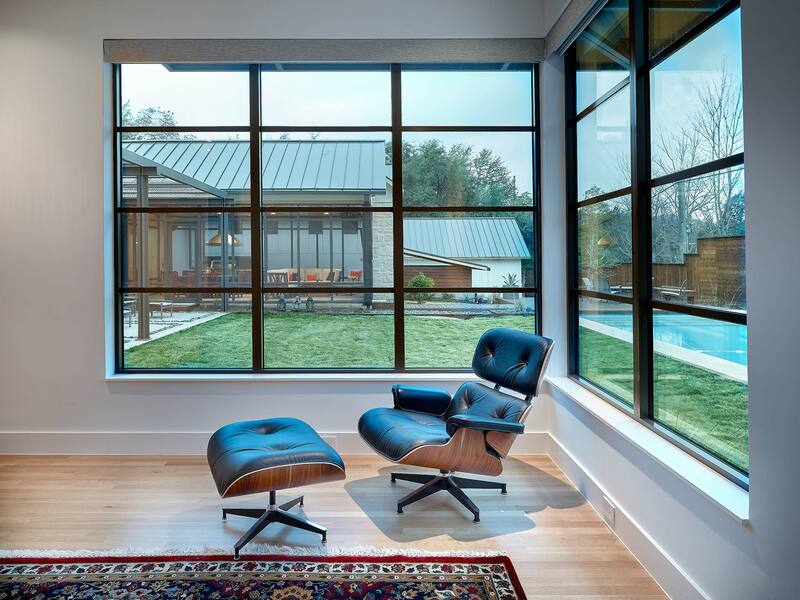 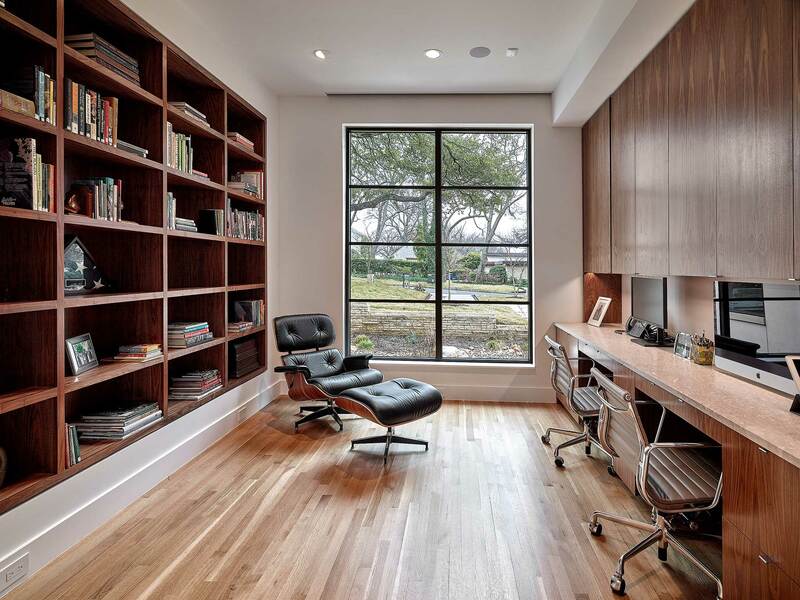 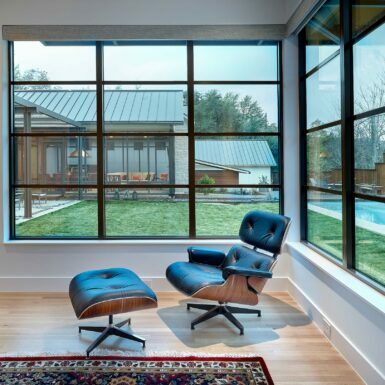 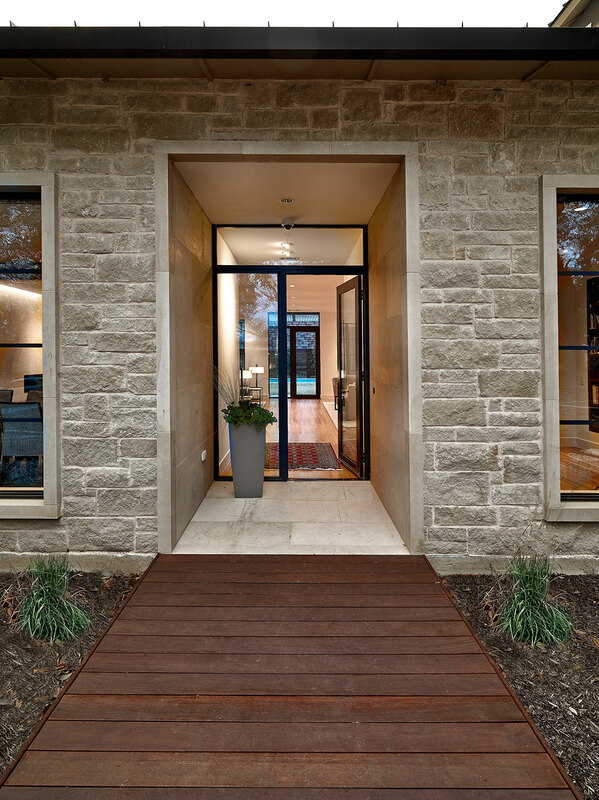 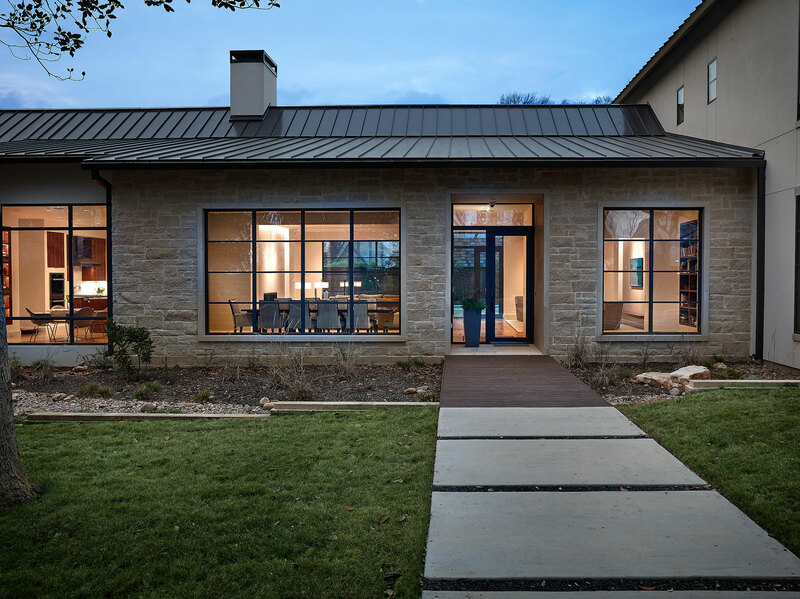 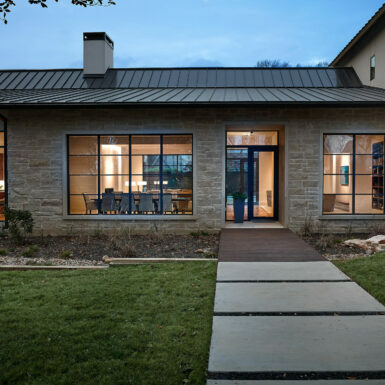 The limestone and stucco acknowledge its Texas location, while the windows provide the appropriate nod to modernism. 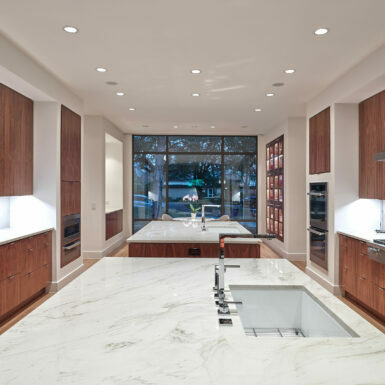 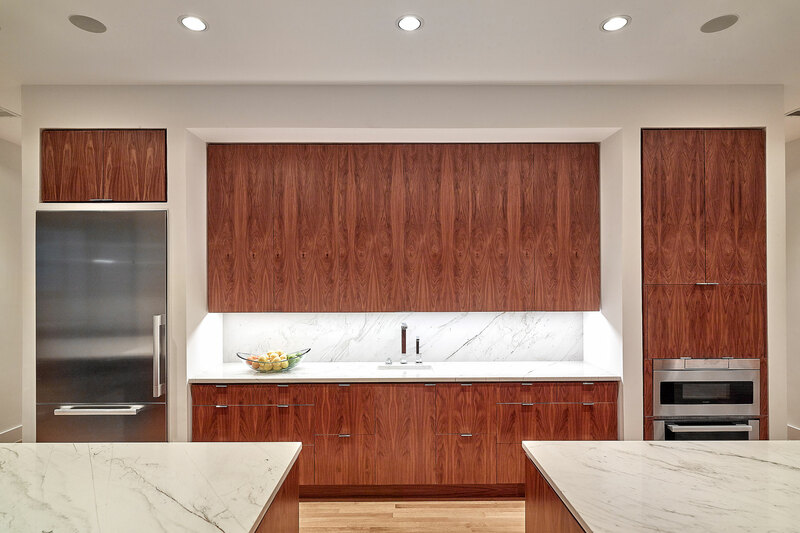 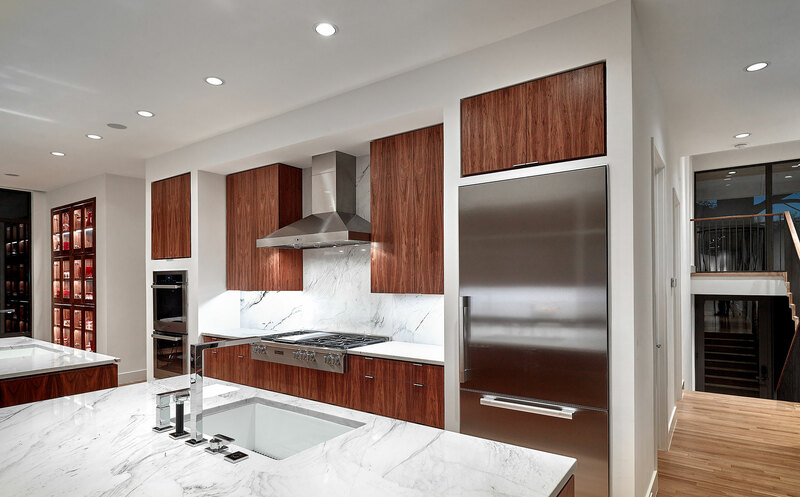 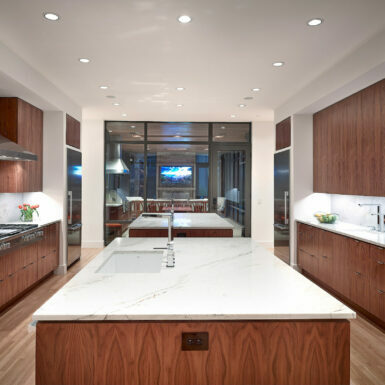 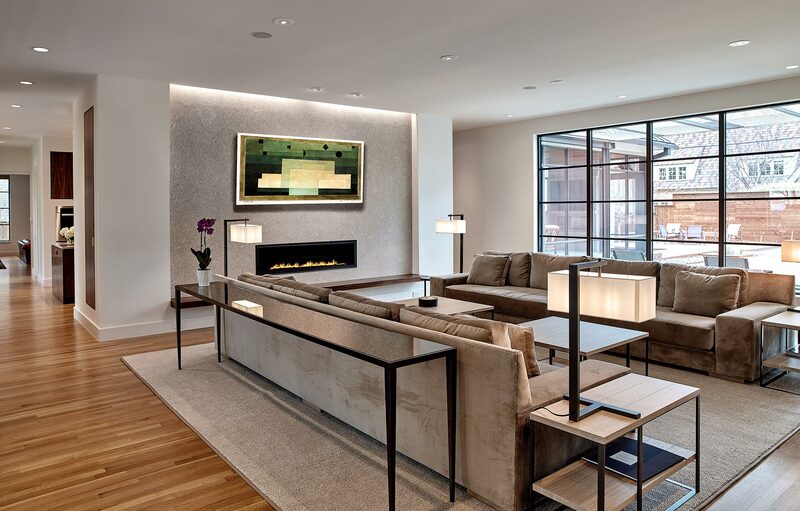 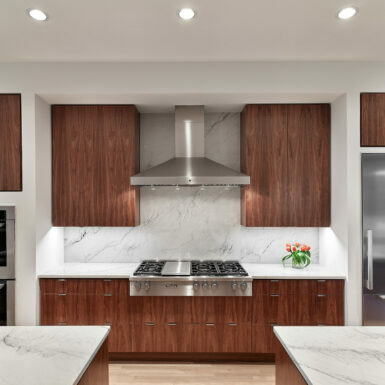 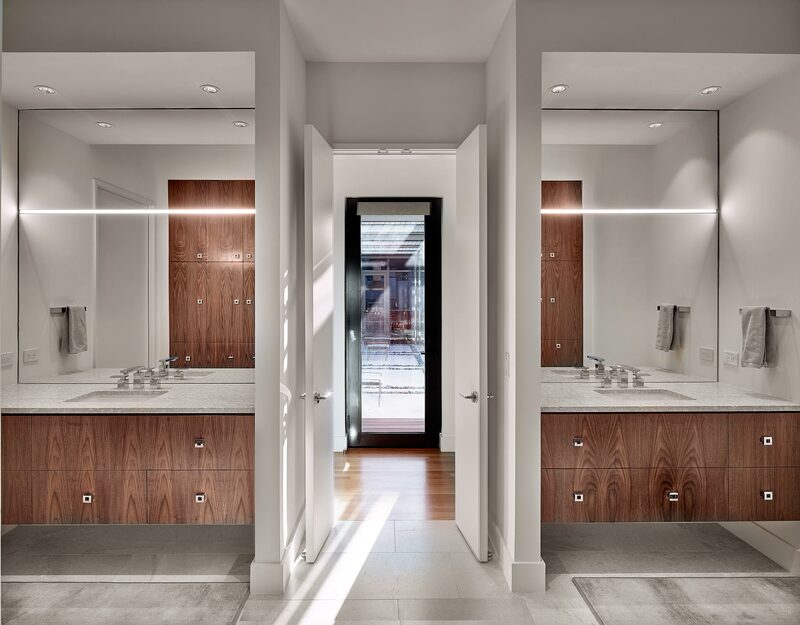 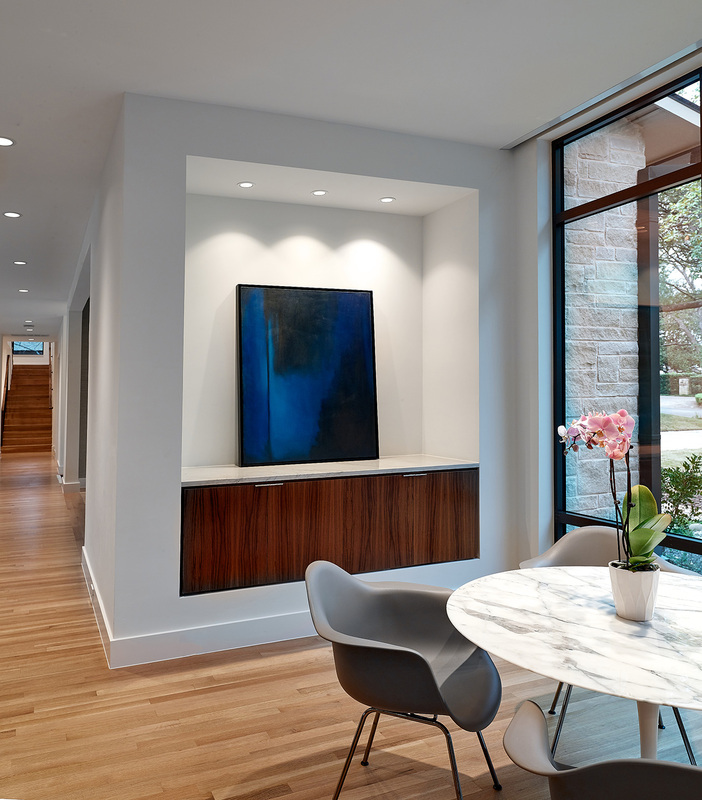 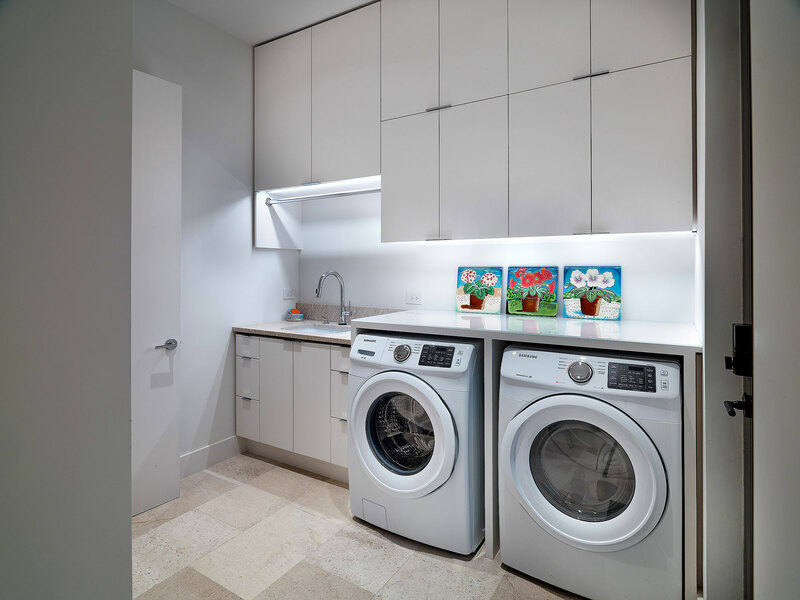 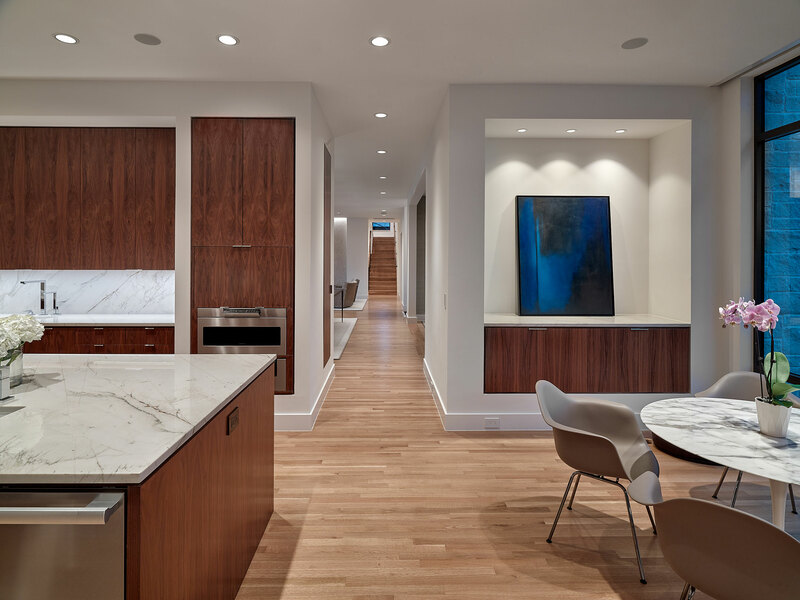 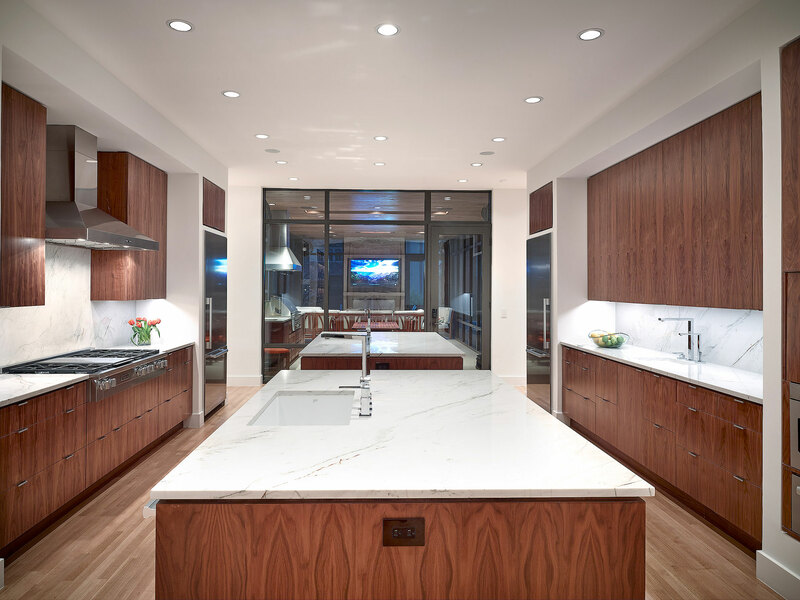 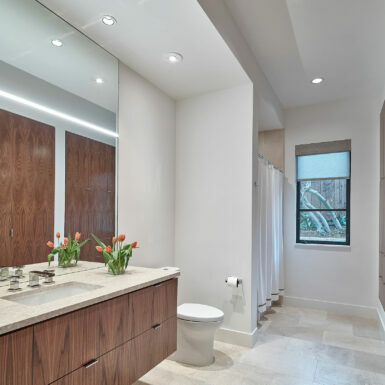 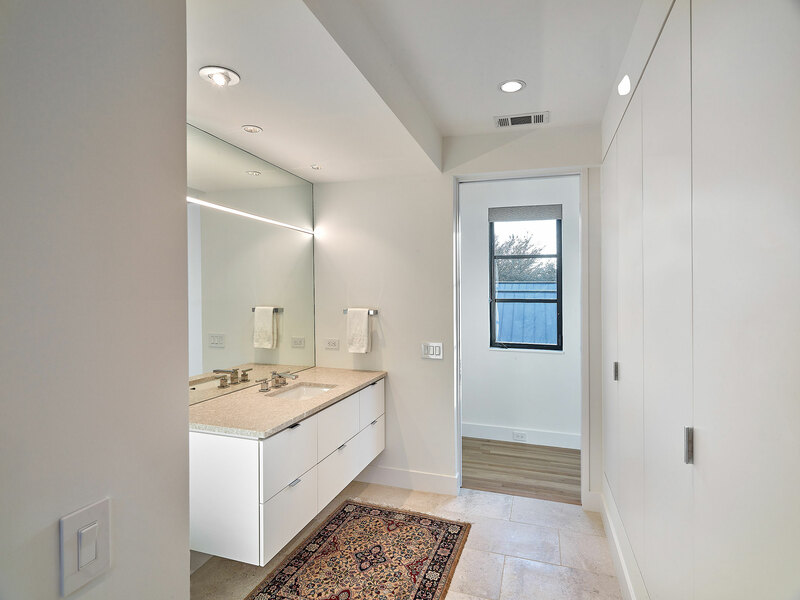 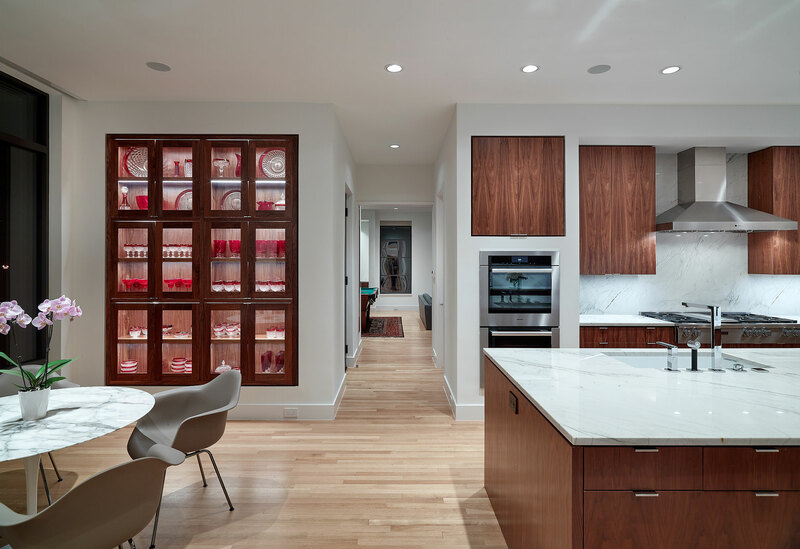 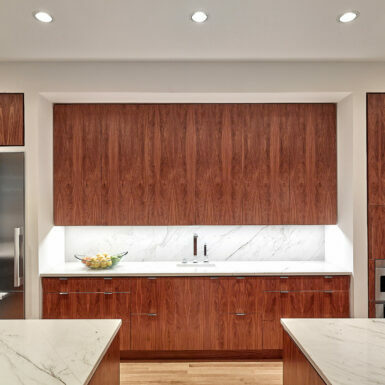 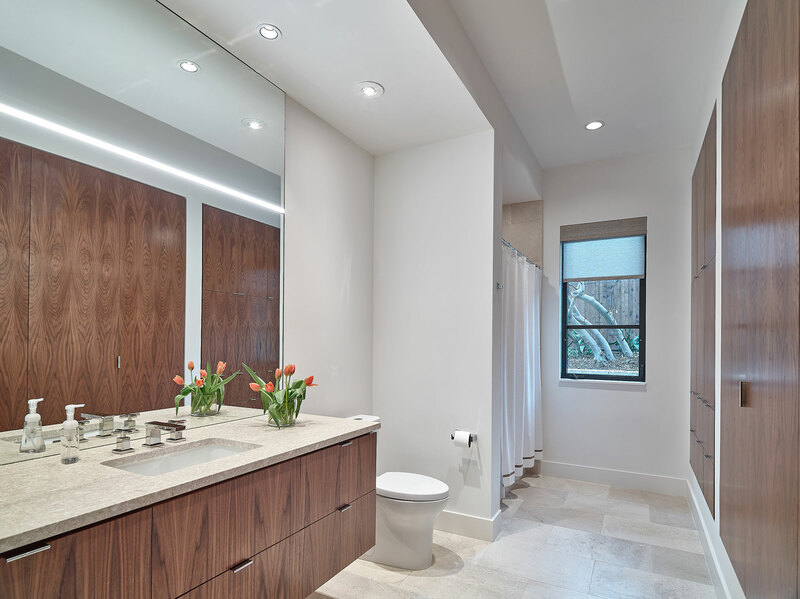 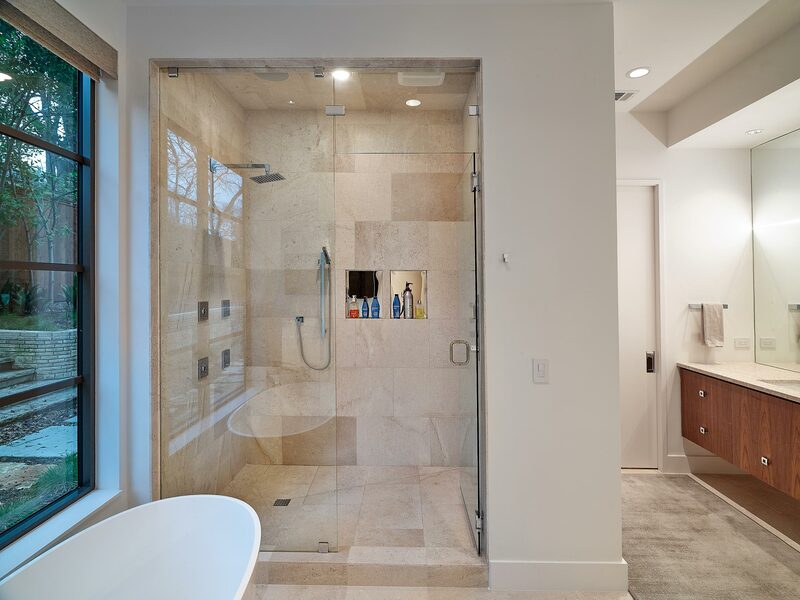 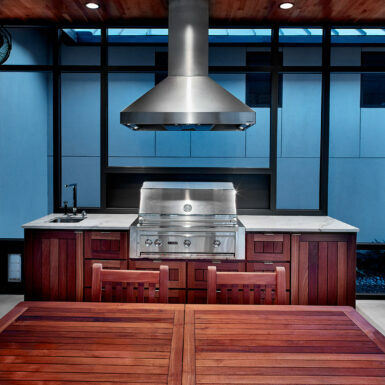 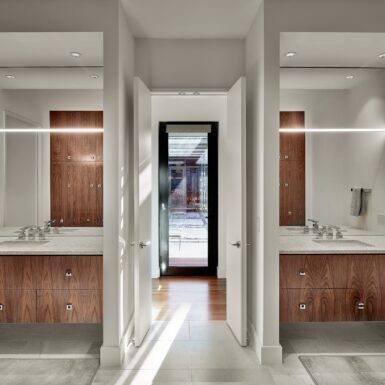 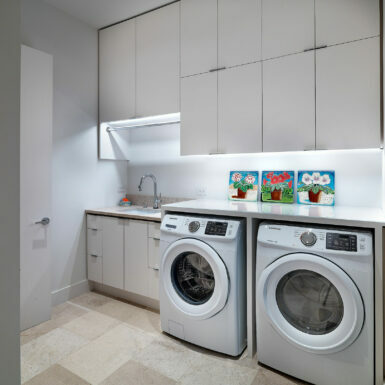 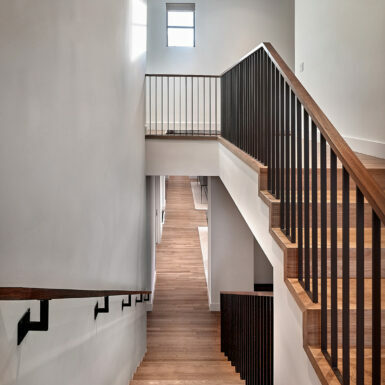 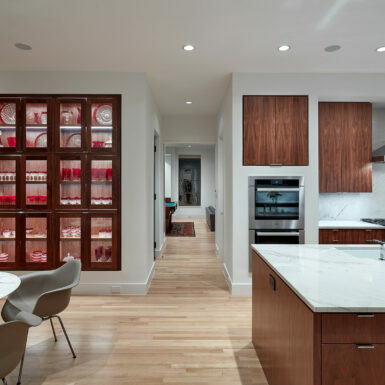 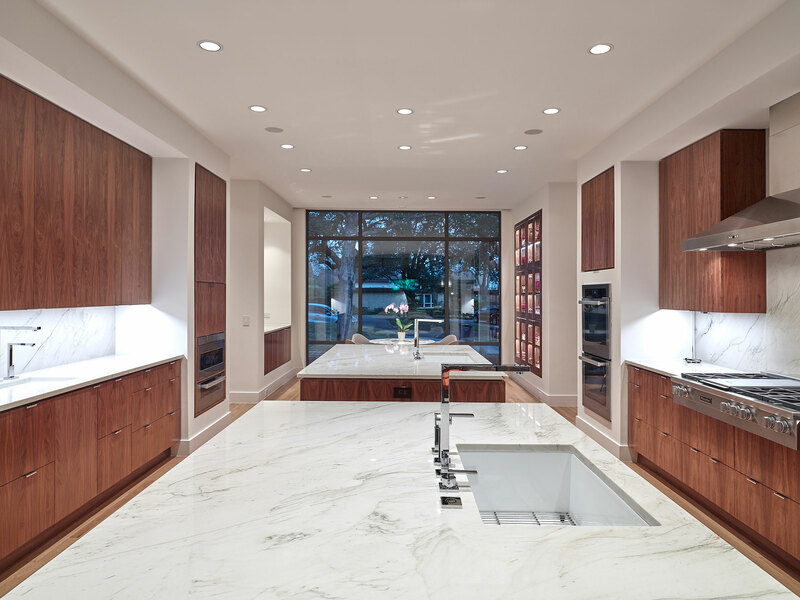 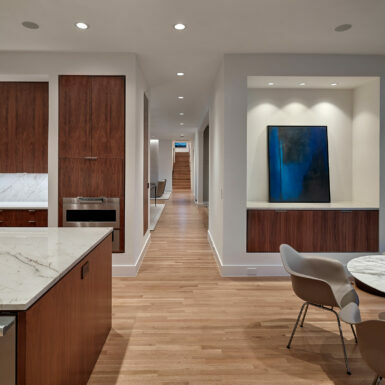 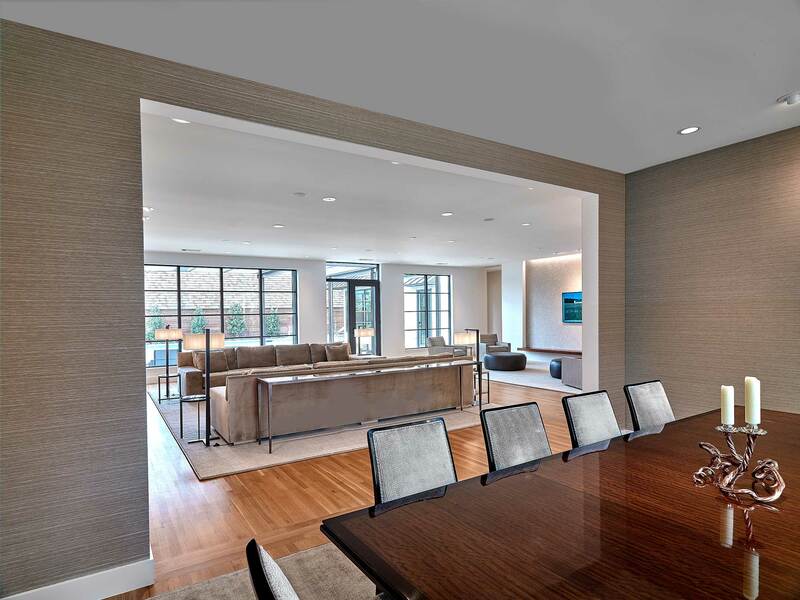 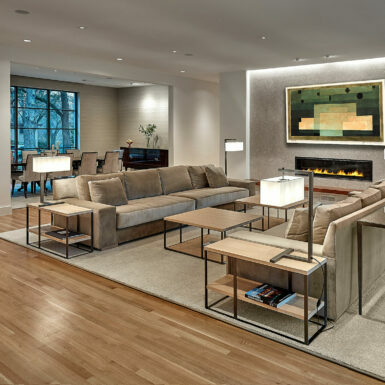 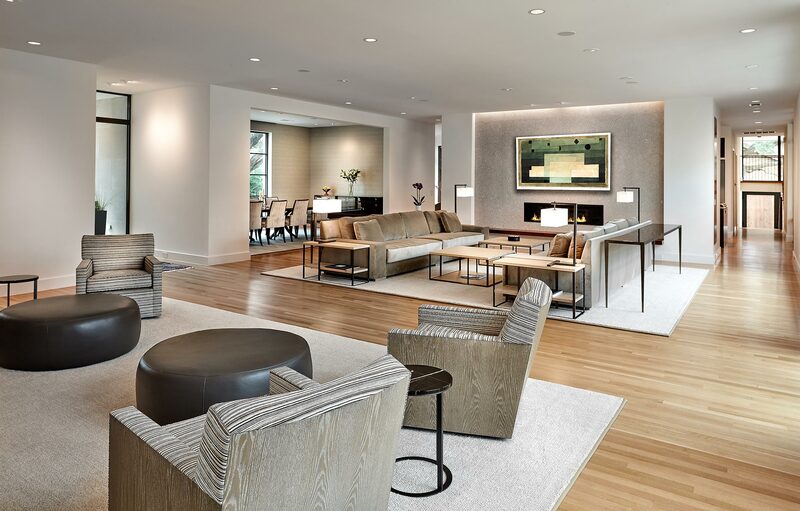 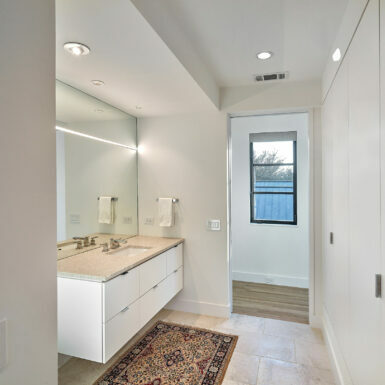 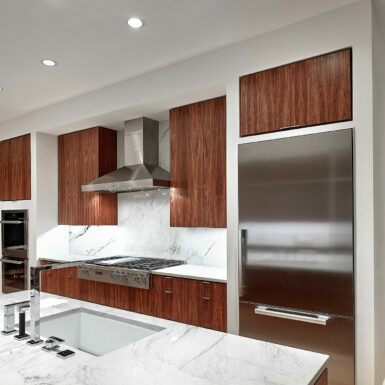 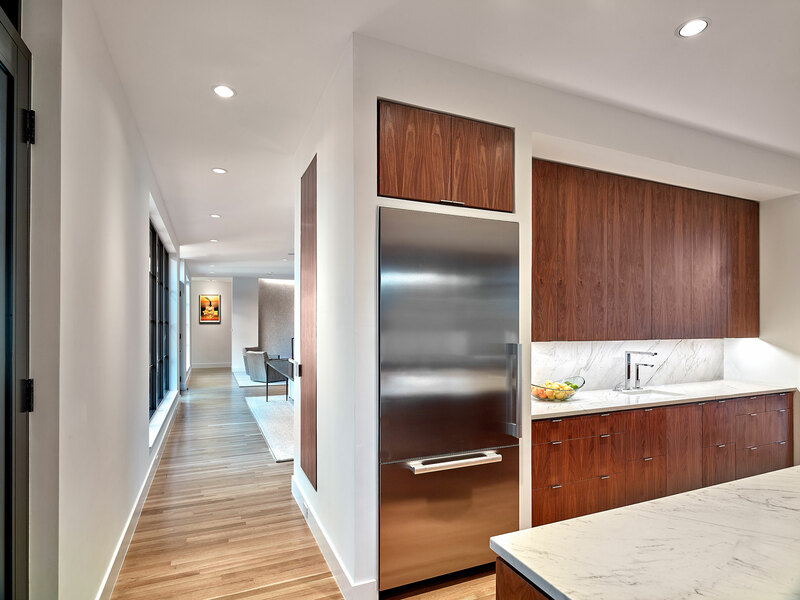 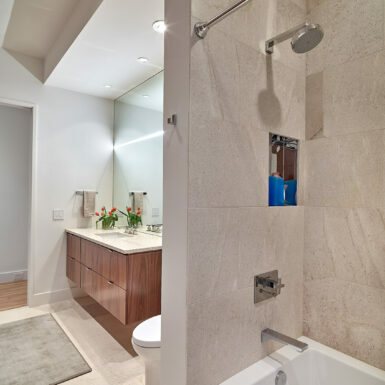 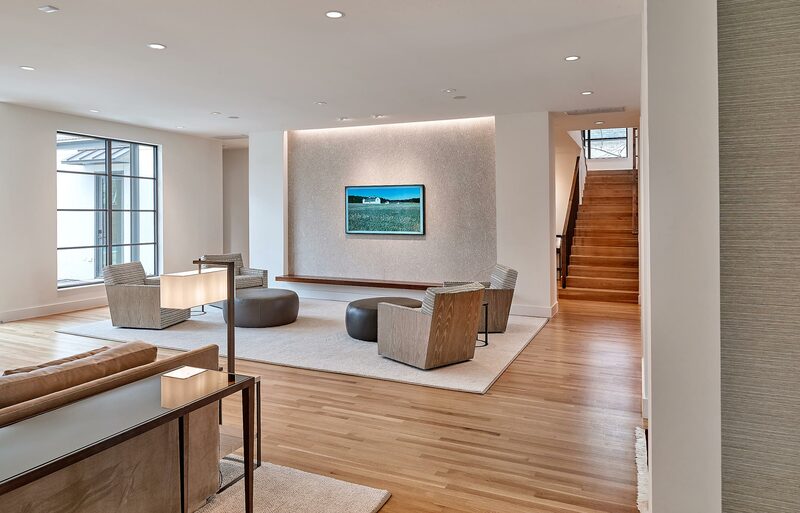 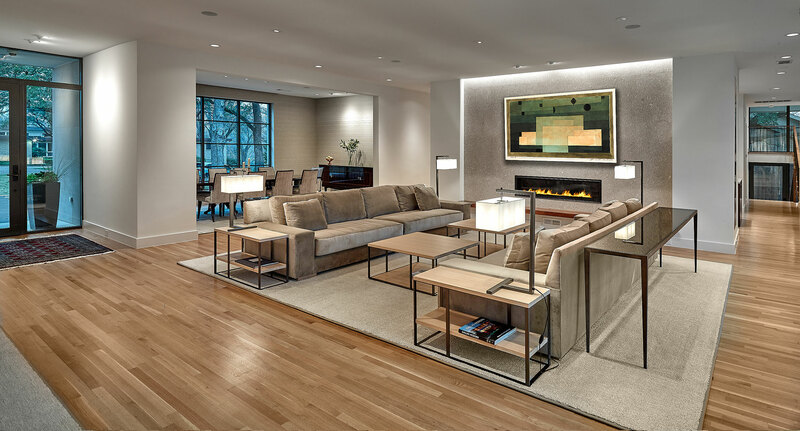 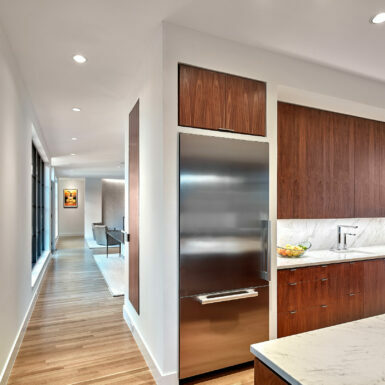 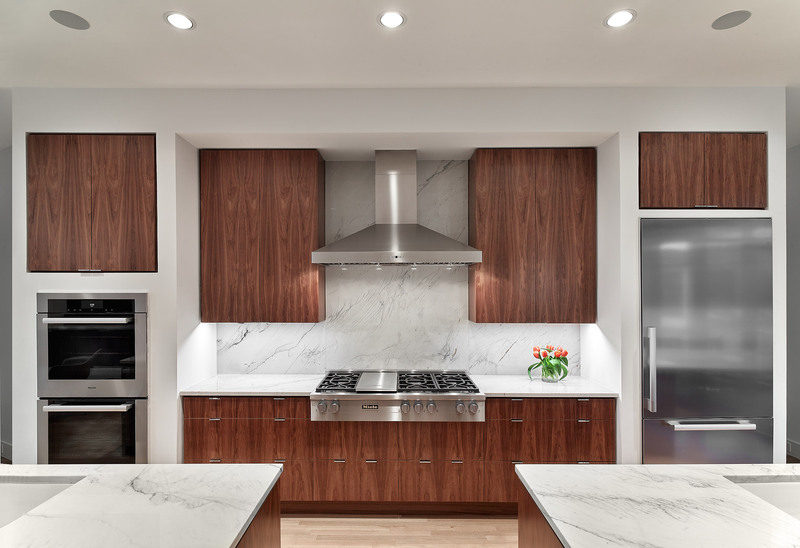 With a strongly delineated circulation pattern, the interior is rendered with white walls, oak floors, and walnut cabinets…with accents of stone countertops. 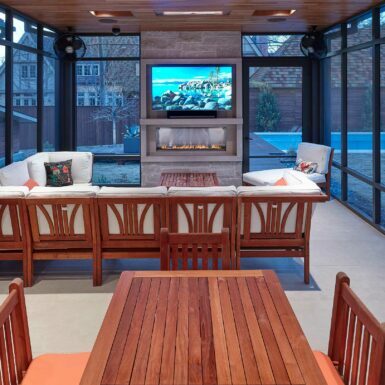 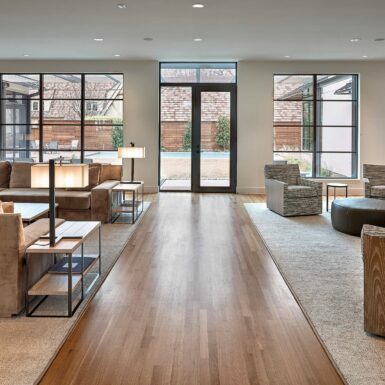 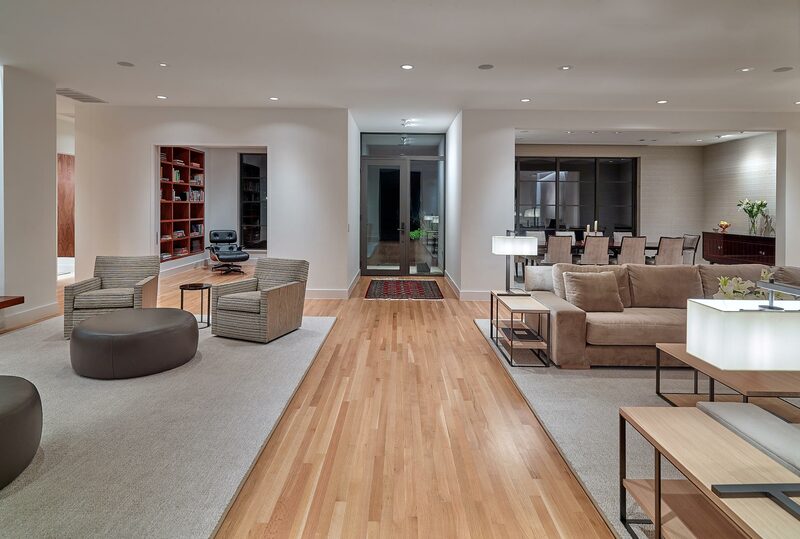 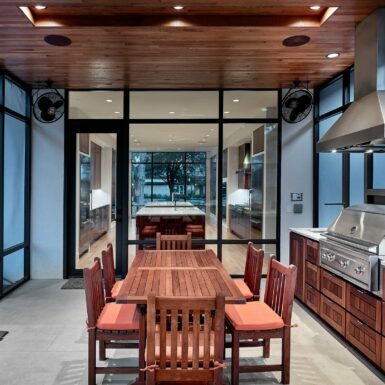 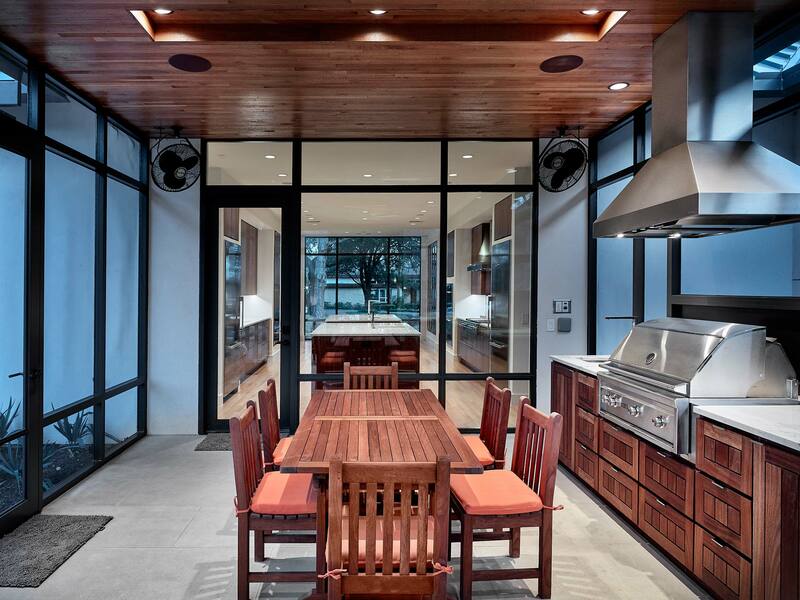 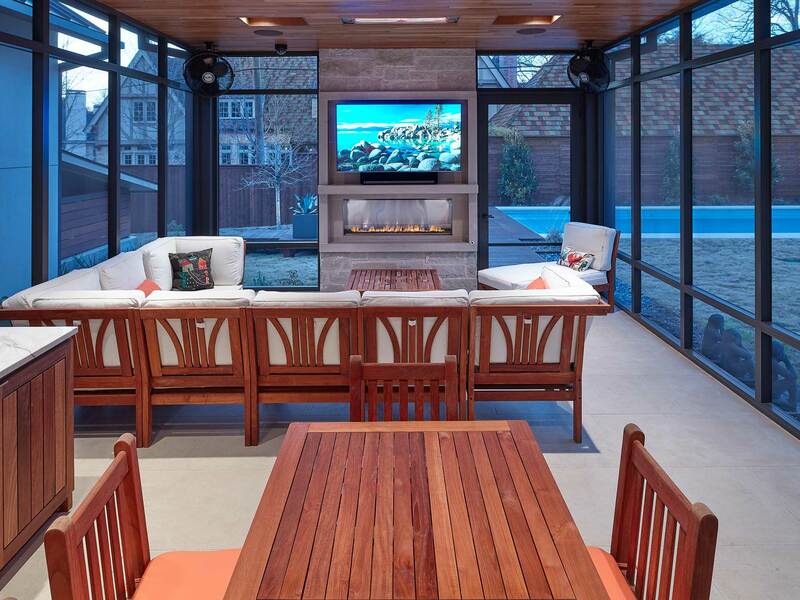 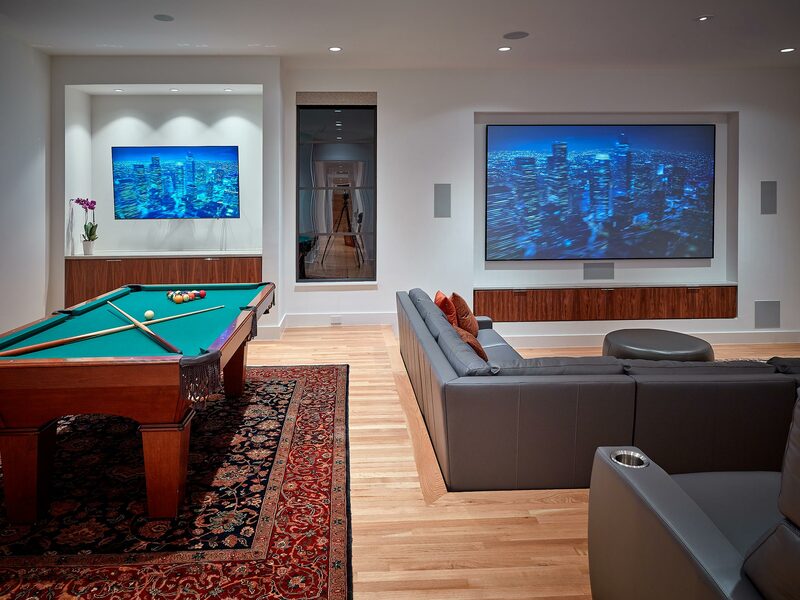 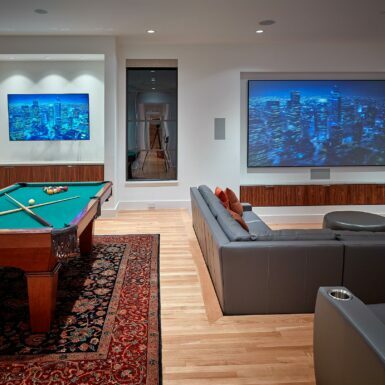 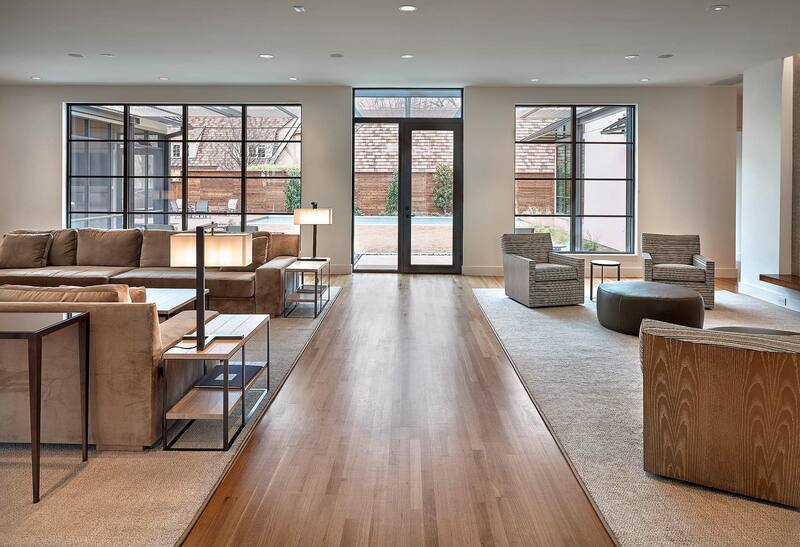 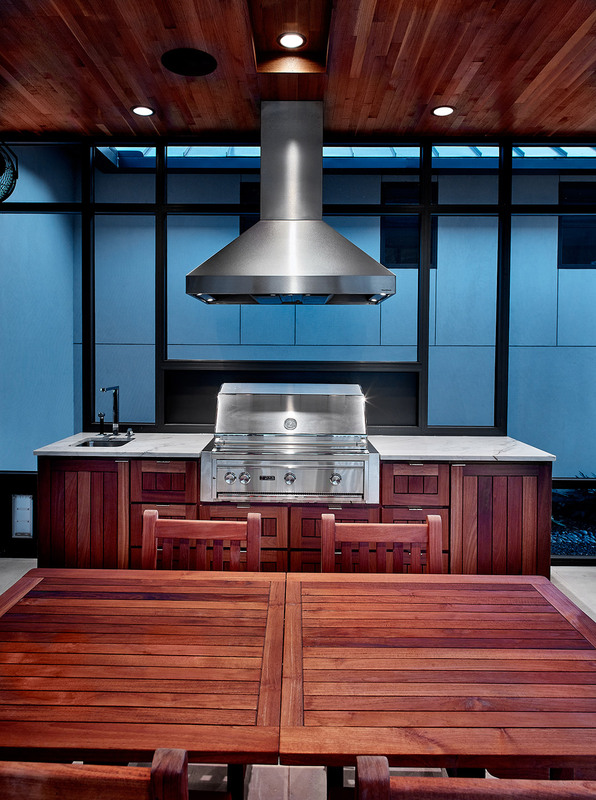 The warm materials soften the contemporary feel and provide durable surfaces for entertaining large groups of adults, and small groups of grandchildren.